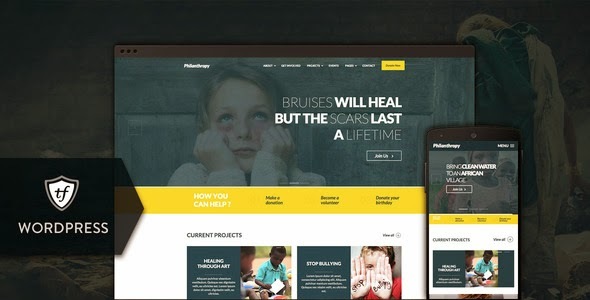 Philanthropy is a responsive nonprofit WordPress theme that has all it takes if you are looking for a website that stands out from the crowd. This theme is especially designed for charity, NGO, non-profit organization, donation, church or fundraising website. Multiple Slider Options: We have built-in no less than 3 different sliders for you to choose from: the first one has great animations for the text, while the 2nd and 3rd sliders are a bit more static but can incorporate videos. Change colors with ease: Modify the highlight colors with a single click. You can do that directly from the WP admin, by using a simple color picker, and all instances of that color will be changed across the site. Built in Events Calendar: Keep your users up-to-date with all upcoming events by adding them to the built-in calendar. You can set them to be recurring, which means that events can be repeated daily, weekly, monthly or yearly! Built in Page Layouts: Besides the regular default blog pages, Games Zone comes with a bunch of built in page layouts for you to use. From About and Projects to Donate Page and Contact! Advanced SEO Options, Built-in! : Search Engine Optimization (SEO) is vital for any website that wants to have as many visitors as possible, so we have built-in a great SEO module that offers you complete control & takes care of everything! Item Reviewed: Philanthropy New Nonprofit WordPress Theme 9 out of 10 based on 10 ratings. 9 user reviews.